Typically, sales managers find it easy to see the benefits of adopting a Customer Relationship Management (CRM) system. They appreciate that in CRM their sales data is going to be stored centrally and presented in an easy-to-follow format, allowing them to monitor sales processes, staff performance and, as a result, optimize selling. But what about average rep in B2B sales? Sales people often see CRM as another tool, as more work and just another way for their bosses keeping track of their work. It is also the extra time that is spent on entering data into the CRM application that adds to the irritation. Sales people think that this keeps them from their main task – selling. But this blog is not about why sales teams don’t often find the goodness in CRM – it is rather about how CRM actually improves the lives of sales people, or more importantly, why sales people need CRM! CRM literally helps to boost sales. 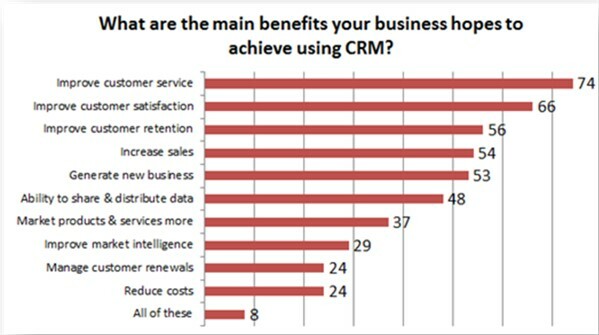 Back in 2012, Tech News World published the below research, which revealed that more than half of all businesses (54%) expected to improve their sales with CRM. But, has this happened by now? Well, statistics point out to “Yes”, as 2014 saw an astounding 87% increase in the use of Mobile CRM, which is particularly appealing to sales people who are always on the move. Talking about the needs, what could be more important for sales reps than achieving the targets? According to The Tas Group, on the average 2/3 of all sales force (67%) miss their sales quota. Meanwhile, the study by Innoppl Technologies claims that that 65% of sales reps who have used Mobile CRM achieved their sales quotas, and a staggering 78% of those who didn’t use CRM did not achieve their targets. Despite all the “pros”, not all sales people seem to be excited by the idea of introducing CRM in their daily routine. As is shown in the chart below, the number of sales people who misinterpret the value of CRM is 87%, as they think it is adopted by their manager to police their activities. This fear results in them “just checking boxes” in the system, without seeing the true value of this tool. Even though the benefits that CRM brings to the sales teams may not be immediately recognizable, they are still game-changing if implemented right. And since those are the sales people that need more CRM induction, in this blog post I will bring out the key reasons why CRM can help them achieve their sales goals faster and improve results. So why do sales people need CRM? Without fear of oversimplifying, the biggest challenges that sales people face are 1) how to qualify and follow up on leads and 2) how to prioritize sales activities. However, CRM is a tool that not only solves those key problems. In fact, it is able to handle other, no less pressing issues. CRM helps sales people to safely and centrally store their contacts, sales opportunities, activities and scheduled plans in one place, and have uninterrupted access to the database from multiple locations. Rest assured that your data won’t just get lost. CRM helps sales people to optimize their daily schedules and prioritize tasks to make sure customers are not ignored and the key prospects are contacted on time. In fact, CRM allows sales people to spend more time with customers, which leads to more deals closed and a stronger customer base. CRM helps sales people to easily prepare their weekly or monthly reports for management. The process is automated and transparent, and takes just a few clicks to inform others about what sales are currently in progress. CRM helps sales people to segment data and identify valuable opportunities via criteria based selections. This prevents you from hours of cutting and pasting from various documents, or surfing in the disorganized lists of data. CRM offers shared calendars, document templates and e-mail integration, uniting all team members and keeping everyone up-to-date. Sharing selling patterns and processes allows sales people to see what works best. CRM also increases communication between the sales force and sales management. By tracking all communication with the customers, CRM helps sales people to know exactly when customers need to be contacted; for example, for product replacement, contract renewal, or for an upsell to a new product or service. This all increases your chances of closing a sale. CRM helps streamline the entire sales cycle, which results in closing deals in your sales pipeline and helping everyone in the team to reach targets faster. Since order processing and preparing quotes is automated in CRM, sales teams are able to reduce production costs and increase sales revenue. Since all the customer-related data is stored in CRM, it helps sales people to analyze the needs of customers and even anticipate their problems – all at the right time. All this increases customer satisfaction and ensures loyalty, as well as higher profit margins. CRM releases the sales teams from the majority of admin tasks by reducing and even removing some of the repetitive actions that take a lot of time, but yield little profitability. CRM stores product and price details, triggers reminders for activities, and takes sales people through the sales pipeline step by step. Even though CRM systems are not cheap, they actually help you save your money! With sales people, it is the reduction of errors (for example, in orders or quotes) that CRM can help with. Effort and cost related to correcting those errors may be much higher. Finally, it also boils down to such trivial things as saving money on those cluttering and often vanishing Post-it notes, since every new information can be safely stored in the system. In a nutshell, sales people and CRM is not an immediate “match made in heaven”, but the more time these two spend together – the stronger the attraction between them becomes. increase target reach rates faster. The improvements that CRM brings, however, don’t come without effort, understanding and determination from the sales people’s side. Sales reps have to unanimously understand that updating CRM is central to their success. Also, sales teams need to synchronize their activities and base them on best practices. This will enable a better sharing of information and will secure more effective work with CRM. More so, sales teams should embrace the idea that by registering all activities and following the established sales routines they are more likely to reach their sales goals. It is also important to realize that sales people are going to benefit a lot by being able to update and share the newest information on prospects and customers – all in one place that is easy to access. Finally, CRM enhances sales people’s mobility, as the database and all your work-related activities can be accessed on multiple devices and from different locations. So, what are your experiences in getting sales teams on board with CRM? Do you have any other reasons as to why sales people need CRM? Please share your thoughts in the comments below. If you’d like to learn more about how SuperOffice CRM can help your sales team, sign up for a free demo below. Nice article on how CRM helps Sales people. As a Sales person myself I came to know about the benefits of a CRM when it was adapted in my company. Though sales people will be initially reluctant to adapt to a new environment, having a CRM makes our tasks a cake walk. 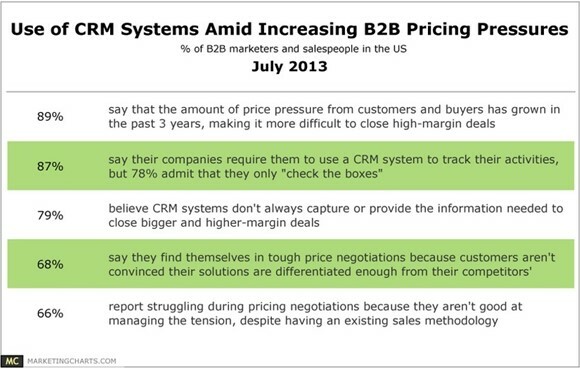 Thanks for highlighting the benefits of a CRM for Sales people. When you use CRM Software, it keeps your data secure and keeps you organized. A good CRM has social media tools that help you connect with your prospects in different ways. 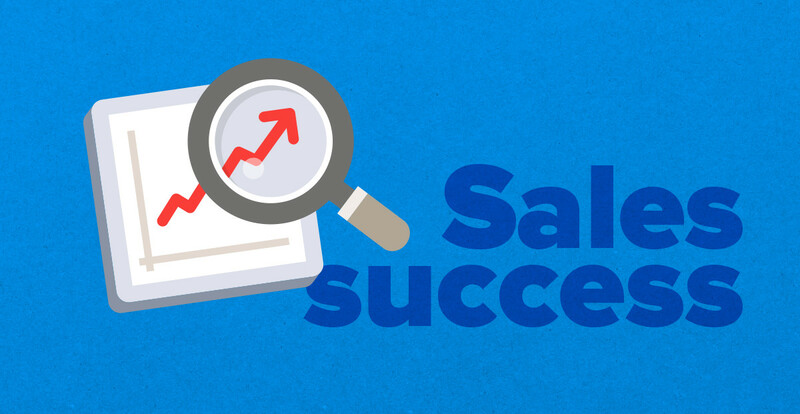 With right CRM salespeople can increase productivity and that can definitely increase sales. There are a few reasons why Salespeople love having the right CRM like increase productivity, data secure, healthy relations with clients, save time, interact with customers easily, cost savings, timely update, brand loyalty etc.. Excellent article, CRM software is a great tool for the optimization of a company, performs tasks automatically and best helps you connect better with their customers. Thanks for the wonderful article on CRM Zarema. I love these 2 points- (4. Stop surfing, start targeting 8. Know what your customers really want) and it's definitely true that a CRM is worth for you if you want more growth or more sales. Great post, Zarema! Thanks for sharing. Utilizing tools like CRMs can be very helpful for businesses, especially for sales teams.For me, the best benefit of using a CRM is automated reporting. Analyzing data and creating reports can be time-consuming, CRMs help us save time and ensure accuracy as well. Very good article on CRM to sales people! I agree that CRM improves the lives of sales people. My sales team and I have been using CRM for past several months and it worked wonders for us, because of the advanced insights, reporting and predicting that it's giving us for all existing leads and potential customers. Absolutely! CRM helps sales people to document customers, communicate with them and track the sales improvements. And, whenever management needs to review the sales progress, sales people can easily pull the report from the CRM and present them. Totally agree! Nothing can fulfill and smooth the sales process rather than a good CRM. Your fourth point made me go aaah! Such an underrated and important pointer for the sales team, especially when it comes to CRM. Another point that I can highly recommend is the 7th one, as adopting a rational outlook sharpens your sales process, leading to higher customer satisfaction!